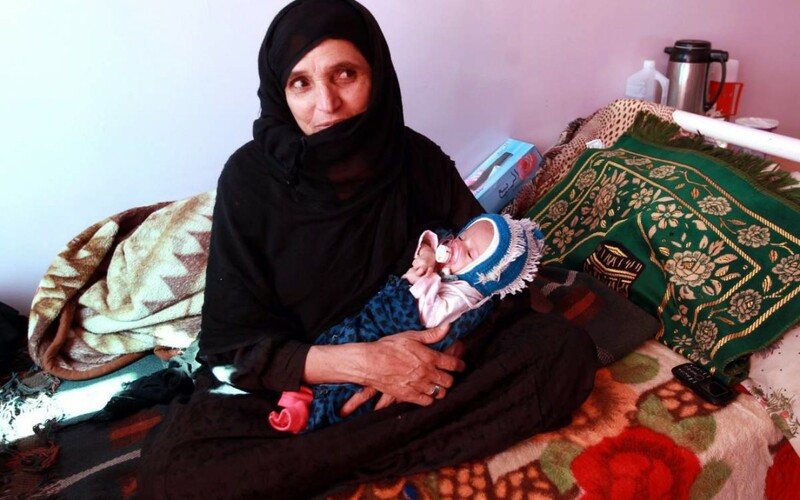 Although it has been on the decline for more than two decades, maternal mortality in Yemen will likely increase amid prolonged fighting and governmental collapse. Of the Middle East and North Africa region and the rest of the world, Yemen continues to have some of the highest ratios of maternal mortality despite a decline over the past two decades. Scholars estimate there were 610 maternal deaths per 100,000 live births in 1990 but closer to 200 deaths by 2010 (a 67 percent decline). In 1990, therefore, a woman’s lifetime risk of maternal mortality was 1 in 19, versus the 2010 statistic of 1 in 90—still poor, albeit improved from 1 in 191. According to a 2002 report, maternal mortality accounted for 42% of all mortality among women ages 15-492. Such dismal maternal mortality statistics are not surprising given that women in Yemen face severe discrimination in both law and practice. Yemen is also the poorest country in the region, fractured by tribal lines and marked with weak economic policies, a dangerous Al-Qaida presence and a recently collapsed government. The 2011 revolution and the 2015 overthrow of the government by Houthi fighters have left the country in turmoil, and higher maternal mortality rates will likely result, as is often the case in crisis situations3. According to 2005 statistics, the main causes of maternal death in Yemen are severe bleeding (39 percent), laborious delivery (23 percent), reversion or turning back to breech presentation (19 percent), and postpartum infection (19 percent)4. Yemen’s commonplace practice of child marriage (especially in areas where tribal customs prevail) is a strong contributing factor to maternal death because it often leads to early pregnancy before a girl’s body is physically ready to bear children. Girls younger than 15 are five times more likely to die in childbirth or pregnancy than women in their 20s. What is more, over half of all Yemeni girls are married off before the age of 18, often to older men, and often because girls are a financial burden to their parents5. Doctors and the media report the deaths of child brides as young as 8 years old following their wedding night or childbirth, and Yemen has no legislated minimum age of marriage despite efforts in previous years to establish one6. In addition to the risks of early marriage and pregnancy, Yemen’s fertility rates are high in urban areas and even higher in rural areas. Too many pregnancies and short birth intervals are hazardous to a woman’s health. Urban women tend to have higher levels of education and health awareness, and they are more likely to access reproductive health services than rural women. However, living in the city does not compensate for Yemen’s lack of skilled care during and after pregnancy or for chronically low government funding for health programs. As of 2004, only 12.8 percent of women received postnatal care and in 2007 only 35.7 percent of all births were attended by qualified health staff78. Even where medical infrastructures exist, there are few female health workers, which inhibits women’s access because they are reluctant to consult male doctors910. Additionally, geographic obstacles such as poor roads and remoteness as well as negative cultural and religious attitudes inhibit the provision of family planning advice, contraceptives and other reproductive health services. Moreover, malnutrition, anemia, unassisted home birth, and inability to access prenatal care, emergency obstetric services and blood transfer centers all contribute to high maternal mortality in Yemen1112. Several government programs over the past fifteen years have focused on women’s health, and various international aid agencies, nonprofit organizations and charities have worked with Yemeni authorities to foment change. Their goals have included preventing early marriage and female genital cutting, training religious leaders on maternal health initiatives, providing contraceptives, involving men in family planning education and increasing the number of mobile health clinics that reach rural areas. However, their progress has been slow due to limited funding and prolonged fighting in the region. With the government’s recent collapse, it is more likely that maternal mortality rates will rise than fall as health workers and facilities struggle to protect themselves from shootings, threats and physical attacks on health workers by armed groups. Amidst a growing humanitarian crisis, with nearly half the population lacking sufficient food, the future of maternal mortality in Yemen appears quite bleak indeed1314151617.